Logo and brand identity for the jazz festival in the red light district of Amsterdam. This fifth anniversary of Red Light Jazz focusses on the trumpet and legendary jazz trumpet player Chet Baker who died 30 years ago in Amsterdam. For three days over the first weekend of June, Amsterdam’s historic centre will be flooded with jazz. 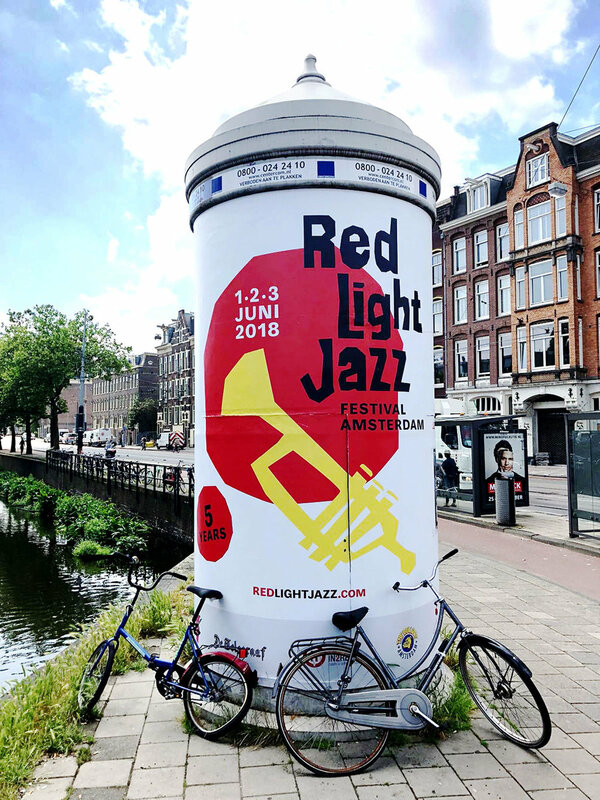 For the fifth year in a row, the Red Light Jazz Festival will welcome music lovers in and around Amsterdam’s Red Light District.